These are the Current Raid Bosses with arrival of the Water- and Dragon-type Legendary Pokémon Palkia. 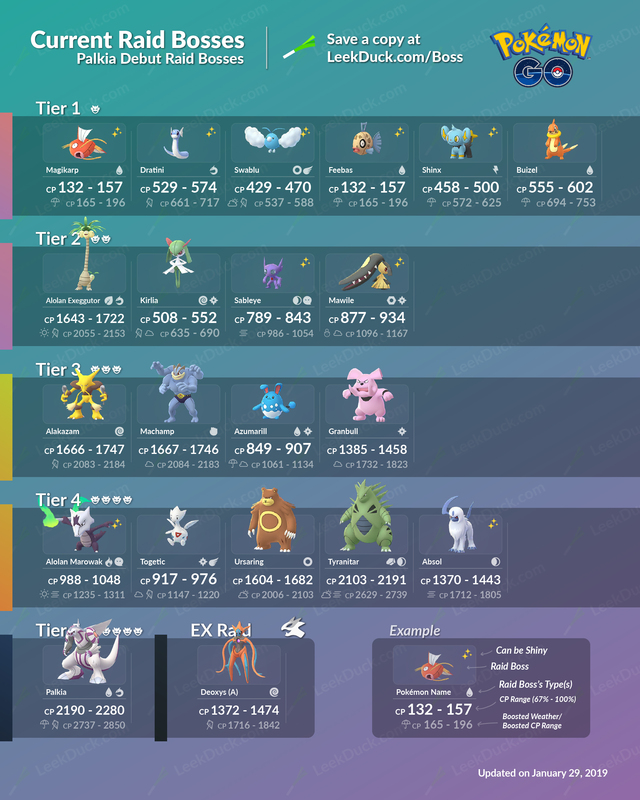 There is a mix of fan favorites and Dragon- and Fairy-types to counter the current Tier 5 Raid Boss. They are expected to change when Palkia leaves Raid Battles on February 28. Another event could change them midway.